Best of Echoes 2012-Listener Poll Results. Hear The Best of Echoes 2012 Rewind TONIGHT! How much of a runaway was Dead Can Dance’s win in the Best of Echoes 2012 Poll? They had almost twice as many votes as the next artist, Hammock. But after that, it’s pretty tight. But what does the list say musically? It’s pretty diverse for one. I could argue that the top five are variations on modern electronic strategies, even Dead Can Dance and their largely programmed Anastasis. 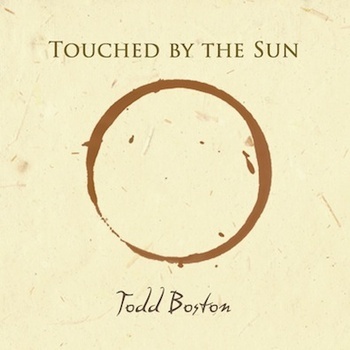 But delve into the next five and you find acoustic world fusion from Todd Boston’s Touched by the Sun, mostly acoustic ambient chamber music from Jeff Pearce’s In the Season of Fading Light, Kate Bush’s expansive song cycle set from late last year, 50 Words for Snow and then Eric Wollo’s more conventionally electronic excursions on Airborne. What’s on the list? You’ll find some post-rock, including two by Sigur Ros, along with Tycho, Balmorhea and Hammock for whom ambition clearly paid off in their sprawling double CD, Departure Songs, an Echoes CD of the Month. 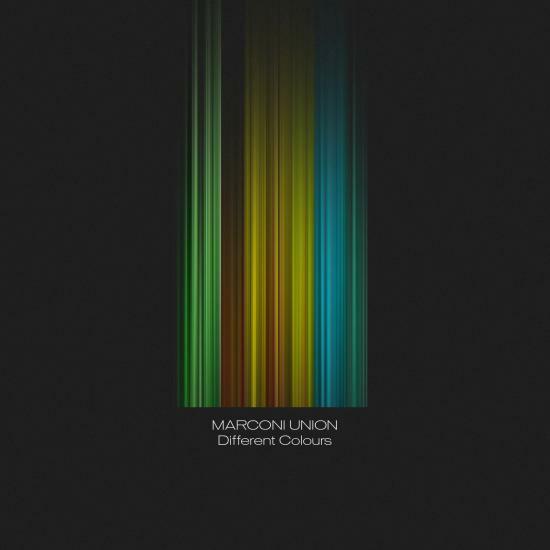 There’s different flavors of ambient including the Godfather, Brian Eno, joined by Marconi Union and Darshan Ambient. 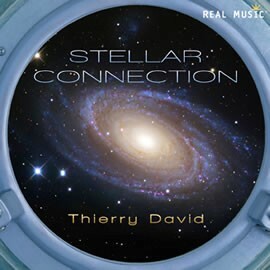 The avatars of Space music, Tangerine Dream, get two on the list, and several of their disciples appear as well, Ian Boddy, Erik Wollo, Robert Rich, Thierry David and Paul Ellis. Ambient Chamber Music continues to hold interest with Jeff Pearce and Kevin Keller. 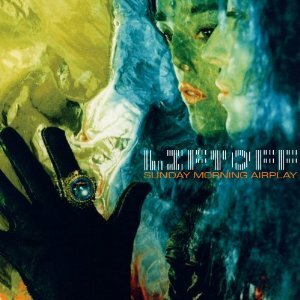 I’d include Jeff Johnson & Phil Keaggy’s gorgeous WaterSky in there as well. Seven of the winners were Echoes CD of Month Club selections. That’s a pretty good batting average. What’s missing? Acoustic guitarists. Outside of Todd Boston and the California Guitar Trio, none are present. And even they aren’t truly solo which, given the amount of solo acoustic guitar we play, is surprising. Another surprise is Loreena McKennitt’s Troubadours on the Rhine. In years past McKennitt consistently topped this poll and in some years, held both the one and two positions. But this year she only makes it to the middle of the pack. Admittedly, it’s a live recording of materiel from one of McKennitt’s less auspicious albums, The Wind That Shakes the Barley. It was clearly the year for Dead Can Dance. They may be a love ‘em or hate ‘em group, but the people who love them really do. Here’s a Best of Echoes 2012 Spotify Playlist Minus Seven who weren’t on Spotify. A Song for Sandy Hook Elementary School. I don’t usually employ the Echoes Blog as a vehicle to comment on current events. But in this time of anguish and pain, I think a song is needed. The Ritual and Rapture of Dead Can Dance. On the day of our Exclusive broadcast of Dead Can Dances performance in Geneva in October, I unearthed this article I wrote on the band back in 1990 for CD Review Magazine. It still seems pretty up-to-date. Which doesn’t mean that Gerrard isn’t communicating anything. Her voice coils around the gothic ambiences of Dead Can Dance, creating Gregorian-like chants on “The Arrival and the Reunion” that would fit right into a monastery of the Dark Ages if it weren’t for the elaborate polyphony. On the other hand, “Avatar” from the 1985 disc Spleen and Ideal sounds like a dervish mantra. At the time, Gerrard was loath to assign specific meanings to her vocal flights. In fact, the delicately boned, blonde singer rarely gave interviews back then. She had refused to sit down for an interview with me, leaving it all to Perry. I only got her then when she came to gather Brendan Perry. I leaned over the table, pointing my microphone in her direction and just ambushed her with questions. “The thing that is important to me is to break the barrier of language and to communicate something without words that’s for everyone,” she stated in a painstaking cadence, as if every word is being wrenched from her soul. They started as a sort of doom and gloom techno-rock band, but discovered a new sound on the song “Frontier” with homemade metal percussion that sounded like a troupe of Turkish darbuka players and Gerrard taking her first stab at free vocalise. A move to London and the 4AD label yielded their self-titled debut in 1984. Their music is drawn from Gregorian, middle eastern and Bulgarian open-throat singing styles and surrounded by instruments like the Turkish saz, the hurdy-gurdy, and the yang ch’in, a Chinese hammered dulcimer that Gerrard plays in a style of the Persian santoor. Combined with synthesizers and strings, they create a ritual music. While Lisa Gerrard keeps her meaning hidden in glossolalia, Brendan Perry is eager to articulate his thoughts through music, which might explain why he sings in a rich tenor, in English. “I’ve always felt more inclined towards the ballads, the sense of poetry of the language,” he says. However, on their first U. S. concert tour in the fall of 1989, he was also exploring the same ecstatic style as Gerrard. Listening to the work of Dead Can Dance reveals a sound that’s as close as modern music comes to rapture. Originally published in CD Review in 1990. Here’s more on Dead Can Dance from Echoes. 2012 Echoes Dead Can Dance Interview Podcast. Post-Rock Dominates Echoes Top 25 for October. Hans Christian & Harry Manx’s You Are the Music of My Silence leads the Echoes Top 25 for October. Their dreamy Indian evocations, the Echoes CD of the Month for October, floats like a seagull above a roiling ocean of post & alt-rock bands in the Top Ten. Tycho, All India Radio, Balmorhea, Hammock, The American Dollar, Azure Ray and The Album Leaf are all artists that hail from the rock side of things, creating variations on ambient rock and dream pop. Yet it’s still music with roots in the sound of Echoes. In fact all those artists grew up listening, in varying degrees, to the sounds of space music, Windham Hill Records and ambient music. You can hear those sounds in the bottom half of the list with Dead Can Dance still holding on after their September CD of the Month with Anastasis, Paul Avgerinos with his new age designs, Kevin Keller’s ambient chamber music and the return of Michael Stearns with his score to Samsara. For a limited time only new subscribers to the Echoes CD of the Month Club will not only receive the November CD pick, Jeff Johnson & Phil Keaggy’s WaterSky, but an additional THREE previous CD of the Month picks absolutely free! 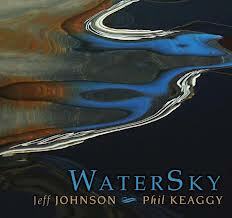 With the Echoes CD of the Month Club, you get great CDs like WaterSky coming to you each month. Join now and you’ll get Watersky plus three additional CDs. Follow the link to the Echoes CD of the Month Club and see what you’ve been missing. You get great CDs like these and our October CD Club selection, Hans Christian & Harry Manx’s You Are the Music of My Silence by becoming a member of the Echoes CD of the Month Club. Follow the link and see what you’ve been missing. Join us on Facebook where you’ll get all the Echoes news so you won’t be left behind Dead Can Dance appear on the show, Tangerine Dream tours the states or Eno releases a new album.